The science of smooth relaxed hair. up to ninety-five percent of the frizz and curl from the hair, leaving the hair soft, shiny and luxurious. The Brazilian Blowout Smoothing Treatment service provides for high film affinity and bonding to relax the hair's sub-cuticle layers. Straightening you can no longer scrunch or curl your hair. type. Contains 30% keratin. Service time 1-2 hours. keratin. Service time 20 minutes. shampoos and conditioners are sold in our beauty salon and cost about the same price as any other professional shampoo/conditioner. While you're here, why not stop by our great hair coloring or our great hair cutting informational pages? Adds elasticity and strength, essentially repairing damaged hair. new growth begins to come in. 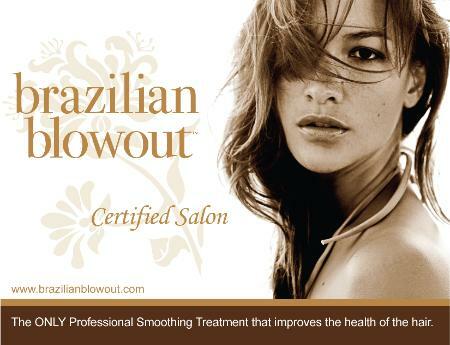 well considered application, everyone can benefit from the Brazilian Blowout smoothing treatment. type) and the freedom to blow dry hair smooth and straight in a fraction of the time invested prior to receiving the treatment. the natural wave/curl. If you have straight, frizzy hair, this treatment will eliminate frizz and promote radiant shine. receive it, the healthier the hair will be and the longer the result will last. hair to look its best. blow-drying and/or using a curling iron. will need to wait 2 weeks. Q. What is a Brazilian Blowout? smoothing service, regardless the formula they use. They often use some other products instead original the Brazilian Blowout™ smoothing solution to achieve similar effects. Q. 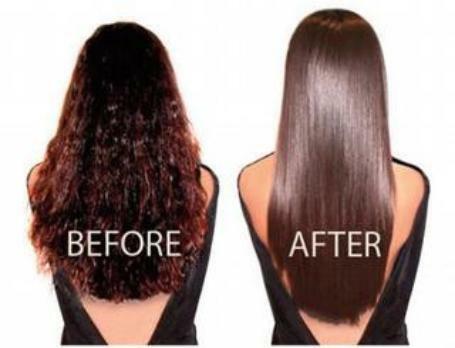 What are the Key Differences between Keratin Treatment and the real Brazilian Blowout Smoothing Treatment? alter the hair structure such as Japanese permanent hair straightening treatments or hair relaxer services.